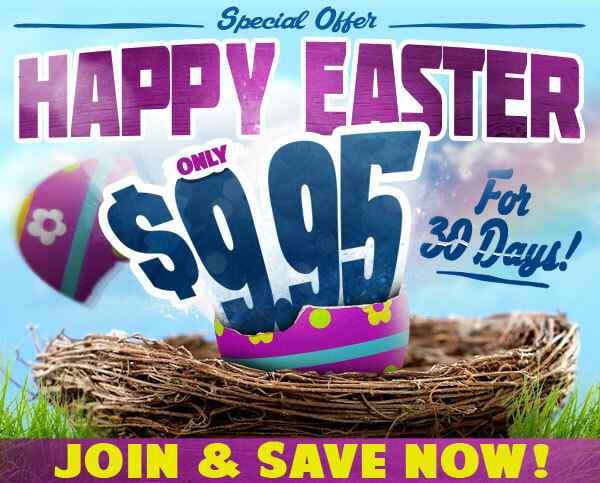 Once again, we have a special promotion running for Easter! We'd like to offer all of your traffic a discount for our sites! $9.95 for 30 days!! For any affiliate who currently uses the default prices to join our sites, we will change the offer on our end to reflect a $9.95 price, re-billing at the default site price. We will not be changing your payout. A $35 PPS will still apply on those sales. For those of you on RevShare, the increased volume of sales added to the full re-bill price will definitely benefit you! This will be in effect from March 30th to April 3rd, 2018! If you would not like to be a part of the promotion, please let us know right away at affiliates@gammae.com.